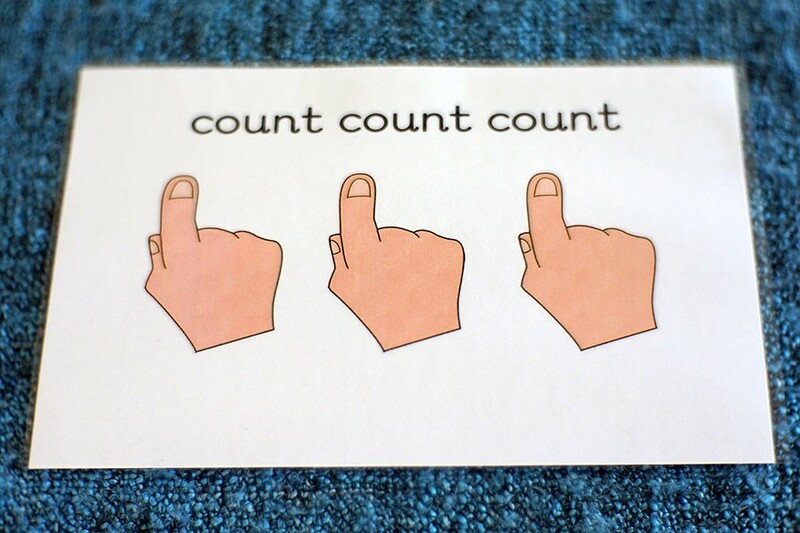 ing the first adding strategy: count count count. After my class were getting to grips with the concept of adding, I introduced the first strategy to enable them to tackle written sums. The idea is to count 3 times: count the first addend, count the second addend and then count the sum. We started with lots of practice using the adding pegs and cards to give a clear structure. We then counted drawn objects in a workbook, cubes on an adding mat and numicon pieces. Lots of discussion so the children understand the maths they are doing, not just repeating a process. I introduced sums involving 0 at this stage, which most of the children found funny or interesting rather than confusing.